Since moving into our new premises at Flinder Partners, Bedford Park, danimations has been furiously focussed on completing a variety of commercial video works, launching NatureScope‘s line of gift cards and calendars and teeing up some new and exciting projects for 2011. It’s holiday season now though, and it’s time for everyone to kick back and relax, us included. For those of you we’ve worked with during the year, you’ll know that the spirit of collaboration is a core value of our service business. 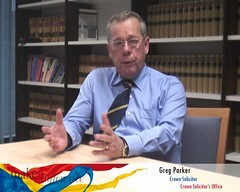 It was that spirit, along with the nature of Flinders Partners’ activities in commericalising research projects which inspired our 2010 animated Christmas greeting card video. danimations & Flinders Partners would like to wish you all a very merry Christmas, happy new year and rejuvenating holiday season! We will be resuming regular business on January 7th, 2011. The SA Government’s Attorney General’s Department recently engaged danimations to deliver custom video content for their internal use. Offering an economical and agile approach to production, we were able to deliver satisfying results in a tight timeframe for our new client. Our first production for the department’s campaign premiered at a presentation at the Adelaide Festival Centre last week and will soon be accessible to the department’s 1700 staff via their new ‘Make a Difference’ blog. Ask us how we can design and deploy online video to make a difference within your business or organisation! In late 2009, danimations was approached by TVTrip.com to deliver footage of several leading hotels in Adelaide for their comprehensive international accomodation website. Sites like TVTrip represent the future of the accomodation industry, accurately representing premises and allowing customers to make informed decisions when planning travel. While this footage was edited by TVtrip.com’s staff, danimations can shoot, edit and deliver completed projects in-house in HD, ready to embed directly on your own website. Videos also have great value in driving traffic to your site from Youtube and similar portals. Enquire about our premium online video services today.